Why don't does my phone not have enough storage as it should? 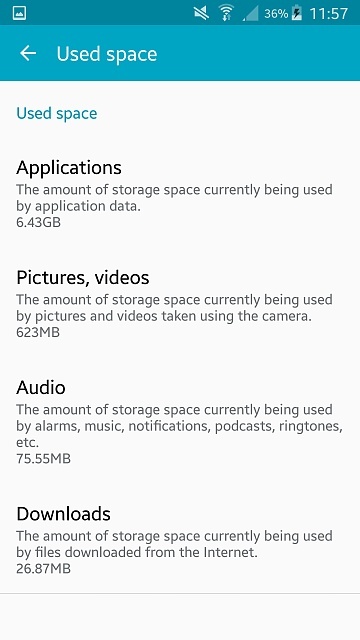 My Galaxy S5 active has 16GB storage, and I have a 32 GB SD card. The storage on my phone is ALWAYS running out. What I don't understand it is says that I have 3.71GB of misc. files, but my largest is Kingll at 195MB. 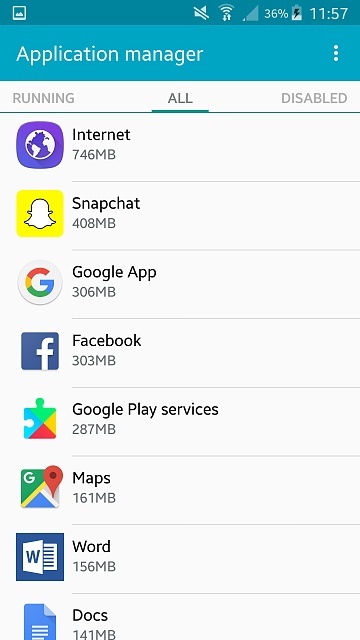 It also says that I have 6.54GB of apps, but my apps only total to ~4GB. I'm pretty sure it shouldn't be this way and I want to actually fix the problem instead of just transferring to SD card. Welcome to the forums. Some of the operating system files reside in Misc. That would account for some of the missing data. The 6.54 of apps...did you include the system apps in your total as well? One thing you've not mentioned is how many apps you're currently running.. If you're obsessed with data usage like I am, you might want to look into using Opera Max. It's me, I made an account to reply to this. 1. 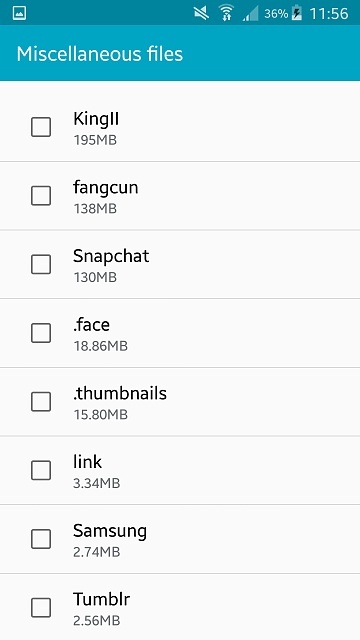 I don't remember there being 3.61GB of misc files, when I first got the phone, would the OS files really come to take up so much space (since this isn't even including the system memory section). Also that was all the apps down to the ones that were 30MB or less. 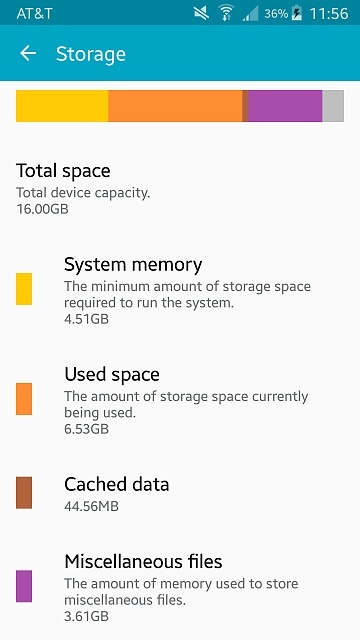 Can you show a screenshot of your storage stats, please? Also I've moved all the apps I can to my SD card and there's still a lot being taken up. It's apparent that your apps are in control of your device.. and keeping most of those one 24/7 will reduce your storage capacities even more.. I would seriously consider reducing or scaling back on the app usage. The tell tell sign would be the Used Space/Data meter.. Also it's good to get into a habit of systemically deleting/cleaning out the apps miscellaneous files. why wont my alcatel metro pc one touch fierce connect to my wifi? i have moto g3 ,android version mashmallow. Where did my apps go?